Prescription medications that require a prescription from an authorized prescriber (for example, doctor, nurse practitioner, dentist, etc). Nonprescription or over-the-counter (OTC) medications that do not require a prescription from an authorized prescriber (for example, doctor, nurse practitioner, dentist, etc). Prescription medications are generally more potent than those sold over-the-counter (OTC), and may have more serious side effects and drug interactions if inappropriately used. Therefore, these medications are only sold under a prescriber's direction. These directions are written or typed on a prescription by the prescriber, then double-checked, packaged, and sold to you by a pharmacist. The regulation of drugs in the United States began with the Import Drugs Act of 1846, enacted after Mexico sold the US Army tainted drugs to treat malaria. In 1906, the Food and Drug Administration (FDA) was formed, primarily to regulate commerce and to combat the then rampant adulteration (debasement or dilution of a substance by adding other material) of foods and drugs. The FDA was not empowered to address drug safety issues until 1938, following the unnecessary deaths of 107 children from a new drug preparation. This incident led to laws that required drugs be proven safe before they were allowed on the market. The last major regulatory change was the provision of the FDA in 1962 that drugs be proven to be effective as well as safe before they could be used. Today, the FDA continues to regulate all drugs sold in the US, both by ensuring that they are safe and effective in what they do before they are released and by limiting their distribution by deciding which medications require a prescription to be sold. Before going to see a health care practitioner, especially if it is for a first visit or if more than one practitioner is seen, make sure to write down the names, doses, and frequency of all current medications. Another way to do this is to put all of the currently used pill bottles in a bag and take them so the physician can record them. Do this for all prescription and OTC medications, and for vitamins and herbal supplements. Make a list of any questions about medications before an office visit. Also take note of any new side effects or side effects that have worsened. Be ready to discuss how well medications are working with the health care practitioner. Provide accurate medical information: It is very important that health care practitioners know as much as possible about the patient before he or she prescribes a medication. Provide the health care practitioner with the following information, make sure that the facts are recorded accurately in the medical chart. 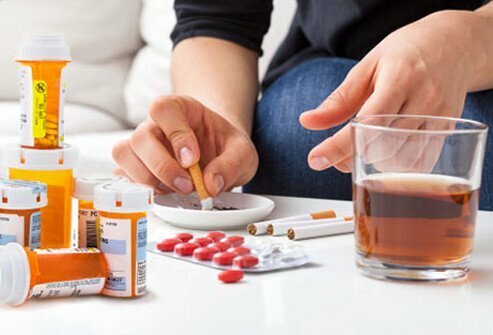 Medications the person is currently taking: This should include OTC medications, vitamins, and herbal supplements, and prescription medications. It is important that each health care practitioner knows all the medications prescribed to the patient by other physicians. Do not count on the doctors or pharmacies filling the medication prescriptions to be able to discover all the drugs and supplements that each patient takes. Past history of allergic or other reactions to medications: Even if a reaction seems minor to the patient, discuss reactions such as rashes, itching, nausea, dizziness, and other side effects with the health care practitioner. Pregnancy: Let the health care practitioner know if the patient may be pregnant, is pregnant, or is trying to become pregnant, or if she is breastfeeding. Many medications will cross into the baby's blood during pregnancy or may pass into milk during breastfeeding. Some of these medications could be harmful to the baby. What does it do? How well does it work and what should I expect? How do I take it (with food, for example)? When do I stop taking it? What are the more common side effects? What are the serious side effects and how do I avoid them? Will this interact with anything else I'm taking? Will I get a generic equivalent of the drug prescribed? Will this medication affect getting pregnant, the fetus, or pregnancy; and is it OK to take if I breastfeeding? How do I store this medication? Currently, most prescriptions written by health care practitioners will be filled at a pharmacy with a generic equivalent. Generics are identical in chemical structure to the brand name drug. The reason why most prescriptions are filled with generic equivalents is simple: generic medications cost less and work as well as the brand name drug. In most states, pharmacists are required by law to automatically substitute generic drugs for brand names drugs unless the health care practitioner writes "do not substitute" on the prescription, or the patient prefers the brand name drug. An example of this cost differential is seen at the supermarket with acetaminophen. The name brand may cost about twice that of the store's generic equivalent. They both contain the same active drug at the same strength. A few drugs are better in their name brand form than in their generic equivalents. A primary reason for this is the inert compounds packaged along with the active ingredient, which make them more or less likely to have unwanted side effects. Ask the health care practitioner about choosing a brand name or a generic. Depending on a patient's insurance plan and the medication in question, insurance may or may not cover the brand name drug. Ideally, patients should use only one pharmacy to fill their prescriptions. That way, patients will have a single, complete source for all of their medications. The pharmacist will be more likely to pick up any potential interactions that might occur among them. This applies to over-the-counter as well as prescription drugs. The pharmacist must have the same information as the doctor regarding medications and past reactions the patient has had (again, no reaction is too trivial to bring up). If no children are in the household, the pharmacist may be able to provide easier opening lids for the medicine containers. A special note of warning must be made regarding visiting grandchildren and the need to safeguard medications from access by children. If the medication is a liquid, get a measuring device with the prescription - usually a measuring teaspoon or a medical syringe. Don't trust the volume of home teaspoons or anyone's ability to guess or estimate how much of any liquid medication would equal the prescribed dose. Find out how the medication is to be stored. Most people leave their medications in the bathroom medicine cabinet. This is arguably the worst place in the house for pills because the humidity in a bathroom can make them break down more easily. Other medications need to be refrigerated. Find out about medication storage before leaving the pharmacy. Some pharmacies print storage instructions on the bottle label; if patients are unsure about how medications they already have at home should be stored, first check the labels for instructions. If there are no instructions, call the pharmacy or your health care practitioner's office for instructions. Before patients leave the pharmacy, also check to make sure the medication given is actually the drug he or she is supposed to have filled. Look at the directions on taking the medication. Do these directions match what the health care practitioner said about the medication? Ask the pharmacist any questions if there is anything unclear about what medication is given. This can help avoid the infrequent problem of obtaining the wrong medication. Some pharmacy personnel may recommend patients have a bottle of ipecac syrup in the home for emergencies, others do not. This medication is used to make people vomit if they should accidentally take something they shouldn't. People are urged to call their regional poison control center before using ipecac. Currently, ipecac syrup is being used less frequently, and the poison centers will give people the guidance they need about its use and its dangers. The U.S. national poison control center phone number is 1-800-222-1222. Keep this number near the phone in case of an emergency. Many health care practitioners urge patients to never take ipecac syrup unless it is recommended by a trained medical caregiver because in some instances, this medication can make certain health problems much worse. Only use state licensed pharmacies. Check www.nabp.net for a list of state boards of pharmacy. A state's board of pharmacy will tell you which online pharmacies are licensed. Use pharmacies that have the Verified Internet Pharmacy Practice Site Seal (VIPPS Seal). These sites have been certified by the National Association of Boards of Pharmacy (NABP). For more information visit www.vipps.info. Use online pharmacies that have a licensed pharmacist on staff to answer your questions. Avoid all pharmacies that sell prescription drugs without a prescription from your doctor. At home, make sure the medication is stored away appropriately. The best place is dry, dark, and not too hot. If there are children in the house, or if children come over to visit from time to time, make sure that all bottles are locked up, usually in a high secure location where children cannot get them. For many medications, especially antibiotics, patients need to finish the whole bottle, even if they feel better. Take all your medications as the healthcare professional has prescribed, or the patient may end up back at the pracitioner's for a second round of medication. Some drugs are prescribed to treat ongoing conditions and will need to be continued beyond the month's supply generally given to you by the pharmacy. Be proactive and call your pharmacy a few days in advance so that your prescriptions can be filled and waiting for you when you need them. An easy general rule to follow is that when about 2/3 of the medicine is used, it is time to refill. Pharmacies can also tell when refills will run out so that you can make arrangements with the health care practitioner for either more refills or a reevaluation; some pharmacies have the ability to send refill notices to patients via email, phone, fax, and other methods. People are urged to simply ask what services are available to help them with their prescription medications. If a person experiences a side effect of their medication, they should call their health care practitioner promptly. Don't stop taking medications unless the patient's health care practitioner is first consulted to determine that stopping the medication is safe for the patient to do. Don't take other people's medications, and don't let others take any of your medication. Don't resume taking an old medication, even for the same symptoms, unless you have discussed it with your doctor first. Periodically clean out the medicine cabinet. Check expiration dates. If there is no expiration date on a bottle, call the pharmacy to find out what to do. If medicine in a bottle or elsewhere cannot be identified, dispose of it. The best way to dispose of unused medications is to return them to a pharmacist. Follow the drug manufacturer's instructions for disposing unused medication (most recommend to return drugs to a pharmacy). Most drugs can be thrown in the household trash. Before throwing drugs in the trash, take them out of their original container and mix them in a bag with other household trash (mix with coffee grounds or kitty litter as suggested by the FDA) so that they are unrecognizable and undesirable by anyone who might go through trash. Such treatment makes discarded medications less likely to be consumed by children or pets. Despite environmental concerns, some drugs should be flushed down the toilet because they can be very harmful if accidentally consumed by kids or pets. Visit www.FDA.gov for a list of drugs that should be flushed. Drugs can also be disposed by taking them to the pharmacy or to community drug take-back programs. 1. American Medical Association. Drug Evaluations Annual. American Medical Association; 1995. 2. Family Practice Management. Prescriptions: why they're so complicated. Fam Pract Manag. Feb 2002;9(2):25-6. [Medline]. 3. Goodman LS, Limbird LE, Milinoff PB, et al, eds. Goodman and Gilman's The Pharmacological Basis of Therapeutics. 9th ed. McGraw Hill; 1996. 4. Katzung BG. Basic and Clinical Pharmacology. 7th ed. McGraw Hill; 1997. 5. Mycek MJ, Harvey RA, Champe PC. Lippincott's Illustrated Reviews: Pharmacology. 2nd ed. Lippincott Williams & Wilkins; 2000. 6. Yaffe SJ, Aranda JV. Pediatric Pharmacology: Therapeutic Principles in Practice. 2nd ed. WB Saunders Co; 1991. Previous contributing authors and editors: Author: Daniel AC Frattarelli, MD, FAAP, Clinical Instructor, Department of Pediatrics, Wayne State University School of Medicine; Fellow, Clinical Pediatric Pharmacology, Division of Pharmacology and Toxicology, Children's Hospital of Michigan. Editors: Scott H Plantz, MD, FAAEM, Research Director, Assistant Professor, Department of Emergency Medicine, Mount Sinai School of Medicine; Francisco Talavera, PharmD, PhD, Senior Pharmacy Editor, eMedicine; James Quinn, MD, Director of Research Department of Medicine, Division of Emergency Medicine University of California at San Francisco Medical Center.